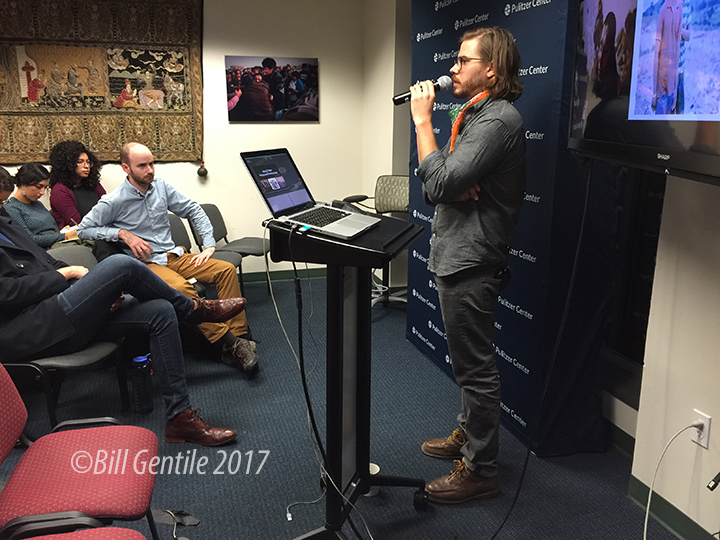 WASHINGTON, DC, 25 January 2016 — Dominic Bracco II, a freelance photojournalist and writer based in Mexico City, addresses a crowd at the Pulitzer Center on Crisis Reporting in the nation’s capital. 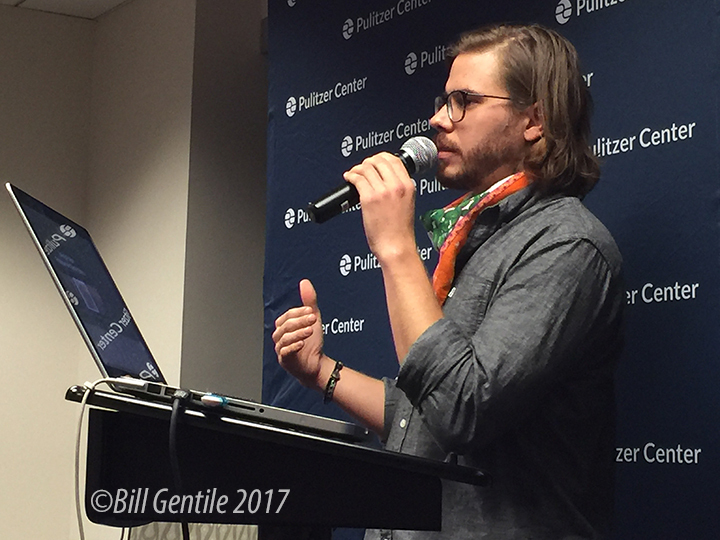 Dominic is one of many young, multi-talented freelance journalists filling the void left by mainstream media organizations pulling back from coverage overseas. 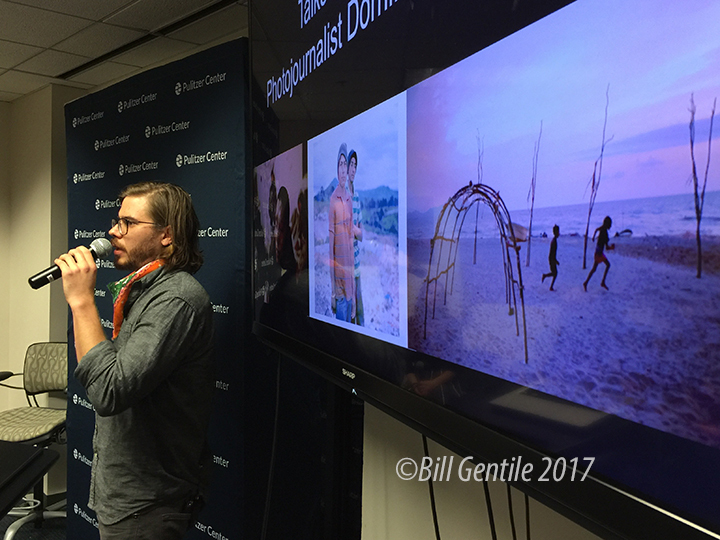 A couple of students from my Foreign Correspondence class and I attended Dominic’s presentation. Well worth the effort. HAVANA, Cuba, 2 January 2017 – Cubans head for home after participating in a parade honoring the country’s Fuerzas Armadas Revolucionarias (FAR), or Revolutionary Armed Forces. Thousands of Cubans gathered in the Plaza de la Revolucion for the event. Later in the day, while reviewing the images I made during the parade, I showed the pictures to a Cuban friend. This image is the last of the series that I’ve posted during the past several days. My friend looked at the people walking away from camera, and at the arrows painted on the street. 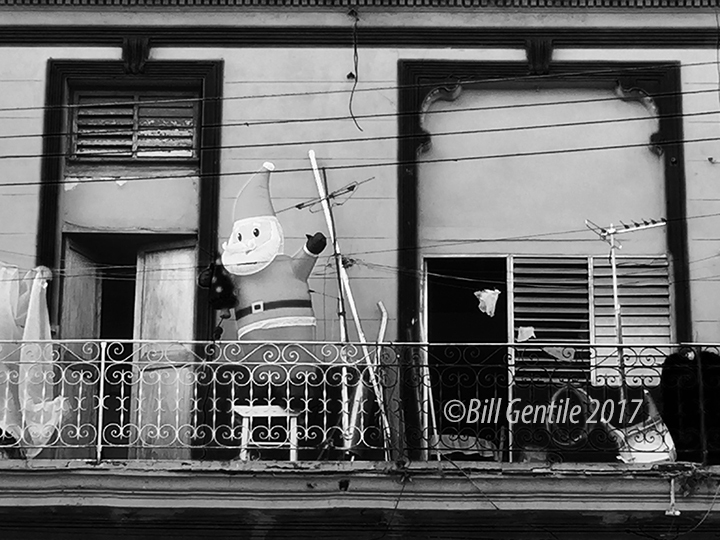 HAVANA, Cuba, 2 January 2017 – A blow-up Santa Claus adorns the balcony of an apartment in the Cuban capital. 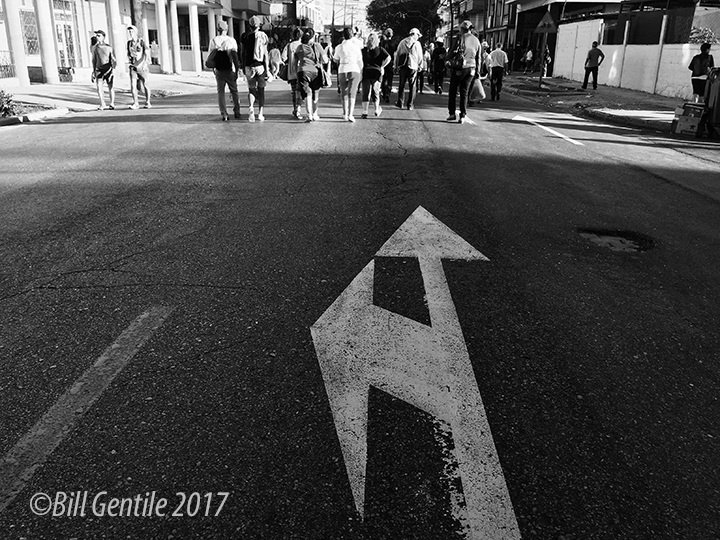 I made this image as I left a parade honoring the country’s Fuerzas Armadas Revolucionarias (FAR), or Revolutionary Armed Forces. Thousands of Cubans gathered in the Plaza de la Revolucion to participate in the event. I was in Cuba over the Christmas holidays with my Cuban-born wife, Esther, who hadn’t visited with her family in five years. Such a shame that the two countries are so close yet so far away, and that families have to suffer the consequences of their leaders’ actions. Seeing Santa Claus on this tropical island reminded me, once again, of this reality. Freedom House releases 2016 report of freedom of press in Mexico. 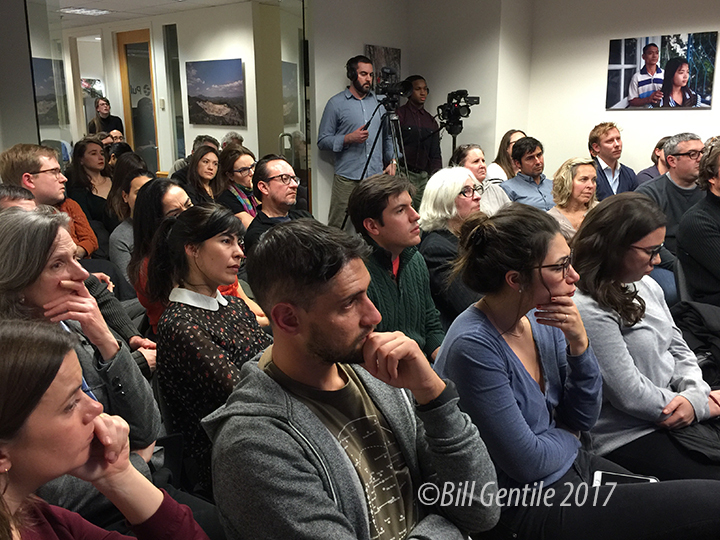 Sunday, January 1, 2017: Freedom House is one of the leading advocacy organizations for civil rights and democracy change. In a 2016 study, Freedom House declared Mexico to be one of the most dangerous places in the world to practice journalism. The study provides an in-depth look into the laws, trends, and incidents that Mexican journalists experience on a daily basis. HAVANA, Cuba, 2 January 2017 – Cubans carry placards through the Plaza de la Revolucion during a parade in honor of the country’s Fuerzas Armadas Revolucionarias (FAR), or Revolutionary Armed Forces. 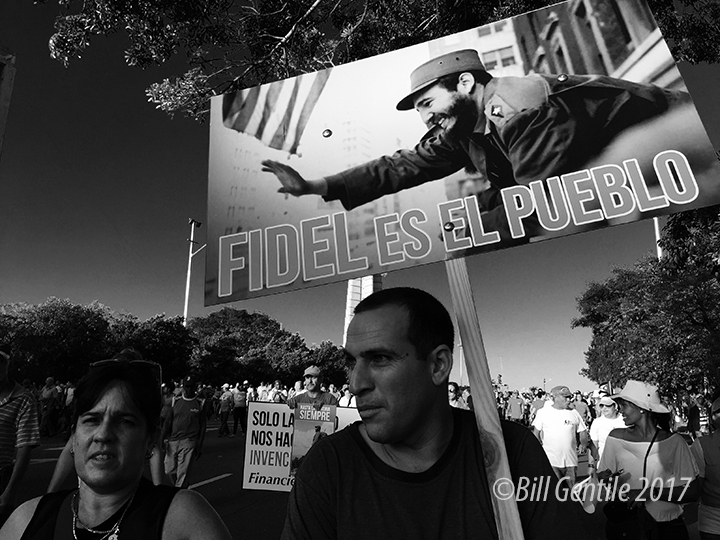 This placard depicts a very young Fidel Castro, who rose to power in January 1959. The parade took place only weeks after Castro’s death in November 2016. Many Cubans still are processing the fact that Castro is gone. My Cuban-American wife, Esther, and I visited her family on the island over the Christmas holidays.